Foreign Visitors Area This area is reserved to all HamRadioWeb forum "foreign" members. All kinds of ham radio related arguments are welcome here ! Please, respect the mandatory language of this subsection: posting is allowed only in english. I am late typing this note of mine.. but the French Dxpedition to Saint Brandon really deserves it! The operations have started on Friday evening, with 4 simultaneous stations on the air and their signals were already good, but Europe is favoured by its position when it comes to work Africa and the Indian Ocean. The team is formed by excellent operators: F5UFX F5CWU F4BKV F4FET F2DX F5PTM F4HAU F8ATM. They are also quite young, if compared to other teams.. 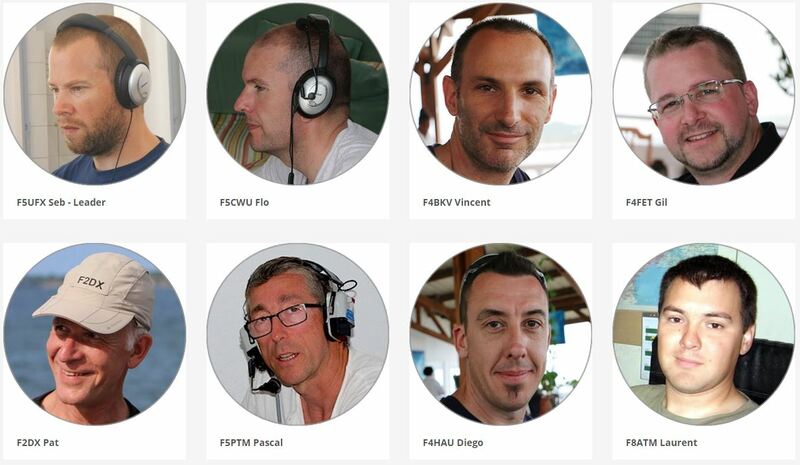 If you are wondering, they are the same who let us enjoy their operations from Tromelin in 2014 with FT4TA, 70,000 QSOs, and from da Juan de Nova with FT4JA 105,000 QSOs in 2016. They are staying in Saint Brandon until April 16 or 17, that’s about a week, and I believe everyone will have a chance to work them. For the first time, a major Dxpedition, is using all SDR radios, 5 RTX Sun sdr pro2 and 5 Expert 1.3k linear amps. Long Path: some additionnal VDA will be used for long path contacts, expecially for US West coast. The latest Dxpedition to 3B6/7 dates back to 2007, more than 10 years ago, during another solar mininum : it was 3B7C.. 137,000 QSOs.